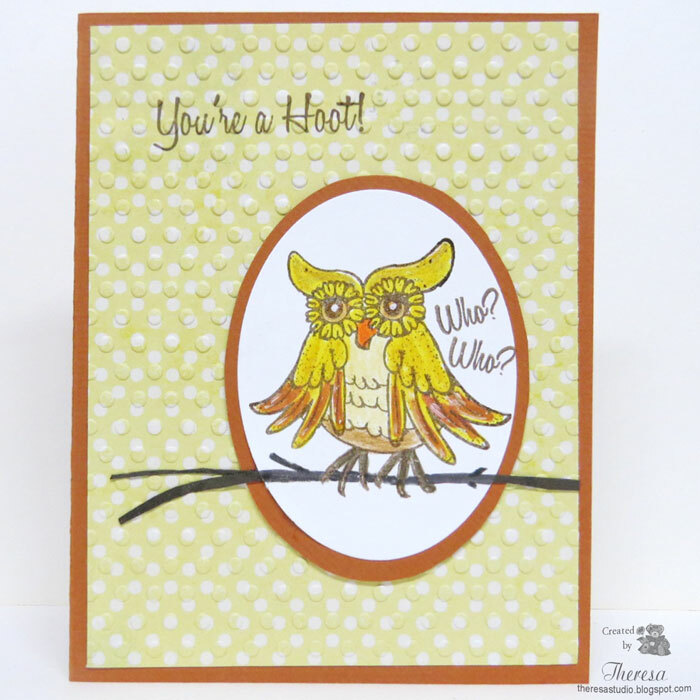 Theresa's Studio: You're a Hoot! Hello! Rainy day here in Ohio. Good day to houseclean or make cards? 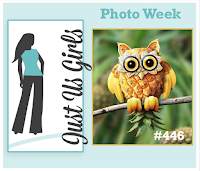 This card was inspired by Just Us Girls photo challenge shown below. 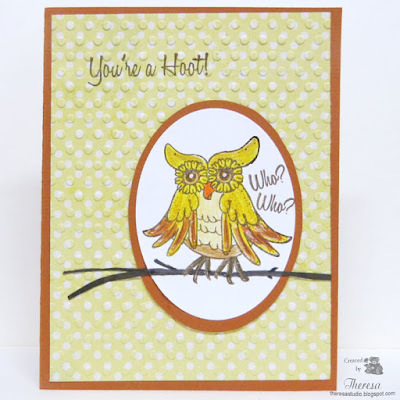 I pulled out an old Owl Stamp and sentiments from my stash to create a simple card with Memento Rich Cocoa ink, Memento markers, Patterned Paper, White and Rust CS, and Oval dies. The owl was heat embossed with Clear EP before coloring and the panel of patterned paper was embossed with Polka Dots EF. Branch was made with a scrap of Brown CS and Brown Marker. What a super cute owl! And I love the embossed background over the pattern paper! 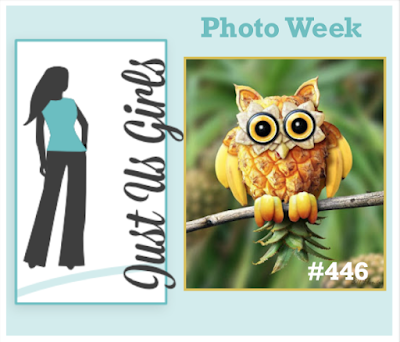 Great job with this week's challenge and thanks so much for playing along with Just Us Girls! Adorable owl! Love the embossed pattern paper too! Thanks for playing with Just Us Girls!